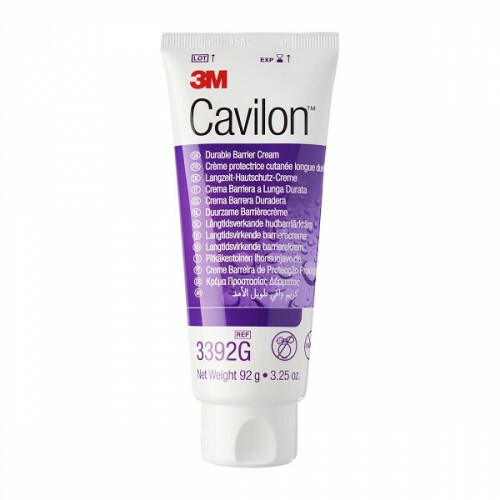 Cavilon Durable Barrier Cream is a moisturising barrier cream that provides durable, long-lasting production from bodily fluids while moisturising the skin. The unique, polymer based formula provides a breathable barrier¹ to promote skin health in patients at risk for skin damage from incontinence. The cream vanishes into the skin¹, is fragrance free, does not clog briefs and absorbent products¹, allows for easy visualisation of the skin and resists wash-off. 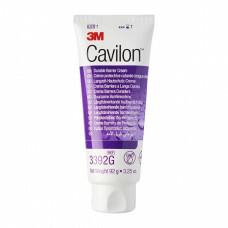 Cavilon Durable Barrier Cream contains a unique blend of 3M polymers and dimethicone for skin protection as well as conditioning ingredients for moisturisation. Unlike typical barrier products, Cavilon Durable Barrier Cream is both durable and concentrated. This means it lasts longer and you use less per application than typical creams and ointments.